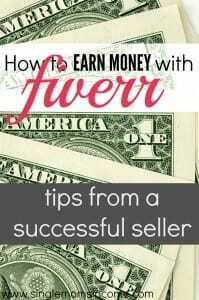 Everyone knows about it, everyone seems to be creating a gig, but does everyone succeed as a seller at fiverr.com? I’m Dion, a level two (and growing) graphic designer with one of the best start-ups this side of heaven: fiverr.com, a marketplace where you can sell and buy things starting at a paltry $5. I’ve done both buying and selling, but I’ve done much more selling, so I’ll provide you a glimpse into what I believe it takes to be a successful seller. I am not the most monetarily successful fiverr seller, and I don’t guarantee anything. I’ve simply been with the company since day one, and I’ve accumulated not only experience, but a story that I like to share to inspire and motivate people looking to succeed with fiverr.com. I’ve been with fiverr since the early days and I can’t tell you how awesome, reliable and inspiring my journey there has been. I’ve grown so much as a designer and web entrepreneur, and I’m truly thankful for the opportunity fiverr has afforded me as I’ve been forced to believe in all of my web pursuits, because I’ve witnessed first hand how doing “whatever” you want on the web can truly change your life if you drown out all of the naysayer’s and stick to it! There’s a lot to share, but I only have so many words. I have an idea though.. I’ll do a preface to my ebook, “How I’ve earned 10,000.00+ in my spare time over the last 3 years with a couple of fiverr gigs”, and if you hunger for more of my personal experience, tips and musings, you can buy it here at sellfy.com. A gig is a task, service, or product you offer in the fiverr marketplace. There are just over 3 million gigs offered at fiverr.com. How in the world are you to stand out in the sea of 3 million? You be yourself! I know, it sounds generic and uninformative, but trust me, offer that gig in the way only you can! I’m not the only graphic designer on fiverr by a long shot, but the way I title my gig’s garner the attention of potential buyers, and I’ve been able to stand out from the crowd because of that. E.g. Instead of offering “SEO consultation services for $5”, consider offering “cutting edge SEO techniques with 24 hour results!”. You are considered a “seller” so it’s important to “sell” your task, product or service because “buyers” are looking to buy what’s being sold. Yep, it just happened! Someone starting a business, looking for a unique gift, or needing that thing you offer just purchased your gig! Congratulations to you! What now? You deliver on what you promised! I cannot stress enough, the importance of maintaining a good seller/buyer relationship. Keep in mind that there’s a rating system in place to help buyers sort through all of the offerings (0-100, with 100 being the best). Not sure if you’ve heard that the customer’s always right, but this is true especially when its your very own business or venture, because there is a direct correlation between repeat business, referrals and your gig’s revenue. 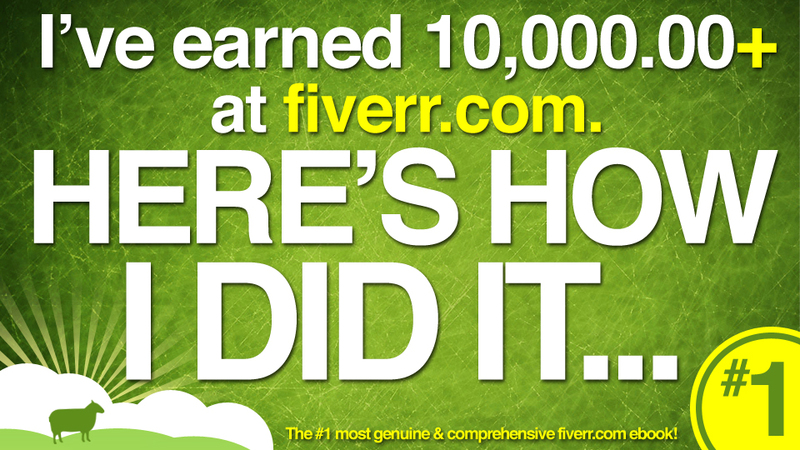 fiverr has grown to some pretty amazing heights! When I think about business and entrepreneurship, I’m one that used to love cutting the “middleman” out. I’ve realized over time that this isn’t the best model for success, because we all need other people to buy and like the things we create. fiverr has built a reputation as the most reliable “middleman” on the web, because their business model is extremely intriguing to a very broad scope of people. If you’d like to send your special someone a unique gift that says “I love you”, why not order one of the many tailor made gigs that will do so in that special and unique way. If you’re a student looking to get help on a paper, why don’t you order the gig from the full-time teacher that proofreads your document and turns it around within 24 hours. I’m alluding to the fact that there are millions of buyers on fiverr searching for reliable services, because they’ve experienced, heard or are curious about the site where you can buy virtually anything starting at five bucks! Any additional social networking or advertising would be extremely wise on your behalf, and the right tactics will be unique to every seller. 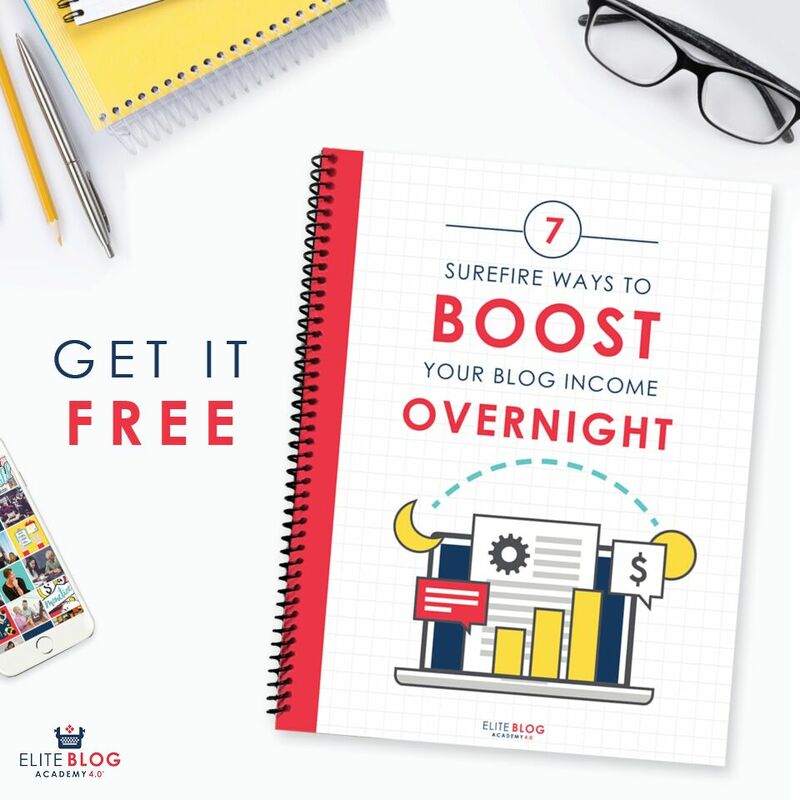 I go in-depth on what has worked for me in my, “How I’ve earned 10,000.00+ in my spare time over the last 3 years with a couple of fiverr gigs” ebook. Everyone has heard of the site where you can offer “something” starting at five dollars, and possibly “rage quit” your day job should you become good at it. If not, everyone has at least been bombarded with the promise of making money online in someway, on some site, or by some family member who just needs you to sign up and refer “x” amount of people to reach the next tier. The truth is, I tried quite a bit before teaming up with fiverr (I speak to some of those things in my ebook), and I couldn’t be happier of my decision to become dialed in and focused when I did, because fiverr has sincerely changed my life! I hope this inspires you to take it to the next level, because you can! If you’d like to keep an eye on me as I approach 15,000.00 here’s my fiverr showcase blog, www.hifiverr.info, and in my best Nicolas Cage narrating voice, “if you’d like to know the truth, the whole truth, buy “How I’ve earned 10,000.00+ in my spare time over the last 3 years with a couple of fiverr gigs” ebook. I want to thank Dion for the guest post. I’ve checked out his ebook, design work, and blog and think they are all excellent. If you need some design work done you can check out Dion at Fiverr, if you want to learn more about how to make money with Fiverr I highly recommend his e-book, or you can follow his progress at his personal blog. What kind of experiences do you have with Fiverr? Have you ever bought or sold anything through Fiverr? Nice work Dion finding a niche that you are happy and enthusiastic with. I’ve always been curious about being a seller on Fiver, especially for the people who actually write articles, do SEO linking, etc. How do you make a good return on your efforts by doing so? For example if it takes me 30 minutes to write an article and I sell 10 of them, that’s 5 hours to earn $50. It seems like I could make $50 a whole lot easier. How long do each of your projects actually take? Thank you! I didn’t understand the whole ROI concept when I first started with fiverr, so I did spend the better part of 5+ hours designing for only 50.00. Those were the early days, but with my main gig now, I only provide a proof of the design in low resolution with my watermark, so that the buyer is “encouraged” to check out my gig extra offerings that almost always add up to an extra 40-60 dollars of income, and this makes it more worth my time. It took some time to get here, but my other 3 gigs are simply file submission based as the product I’m selling is already completed. Ironically, I learned this tactic from all of the internet marketing courses I bought into before finding fiverr :D. This is a much better business model that I’m realizing because I’m setting and forgetting, and I have more time to focus on scaling my business. I’ve never used Fiverr, and I’m not sure I will mainly because the things I would be willing to do usually contract for much more than $5. That’s kind of what makes me avoid the site in general. I might buy some services from it in the future but I don’t see myself selling anything on there. Hello, So it took me a while to get around to it, but I now create products that I deliver in a zip file, so when the buyer buys, I simply upload to make the sell complete. I don’t know if this would be effective for someone just starting with fiverr, because your rating in conjunction with your tenure does speak volumes to potential buyers. The one way that I believe you can offset this is by having compelling design and a unique positioning of your gig. Awesome! That is a really functional and modern logo by the way. I do believe twitter paid ~10.00 for their first logo from a site similar to fiverr. I view my experience at fiverr as an internship, because the better part of the 1000 client projects I’ve had the privilege of taking on, I did only earn 5 bucks for. However, I’ve benefited from HOURS of paid (albeit meager paid) experience, and this has proved more valuable to my journey. My ultimate goal was/is always to give the buyer a product that looks as if they paid hundreds or even “thousands” for. Well said! “Over the last 3 years” accounts for the entire time I’ve been with fiverr as ~nine thousand of that was made in a two year period (which still isn’t alot of money), but was a significant amount of income considering I only spent a couple of hours a day 2-3 days per week working on and delivering my gigs. Fiverr has been a great starting point for me, because not only have I garnered higher paying contracts and clients, I’ve also expanded my design purview which has given me a scaleable online business that I can trust. I haven’t purchased anything from fivver but I am considering having someone design a logo, or maybe just how to help do some basic SEO stuff. For five bucks, what do I have to lose? And I think that’s the allure of the site: the uncertainty of hiring someone you don’t know is balanced out by the low cost. Very true. I hope your expectations are exceeded in every way! I purchased my logo for $5 on Fiverr. I figure $5 is a pretty good price and not much of a risk. I might have to check out the SEO consultation. Not sure how Fiverr sellers make money when you’re only charging $5. When you’re ranked as a level one seller or higher, you have the option to offer “gig extras” within your order which allow you to sell add-ons ranging anywhere from 5.00-100.00. I can’t tell you how big a deal this was back in early 2012! Such a welcomed addition. I use a Fiverr contractor to format my ebooks for Kindle. I’ve had excellent experiences hiring out tasks on Fiverr. I’ve also done a couple of gigs. The way people are making money there is not on the $5 gigs particularly, but on the UPSALES. Precisely! The introduction of gig extra’s changed everything, because I started to get my mind around earning more per gig which I thought would eventually lead to me firing the man once and for all! I’ve found that standing out is the hardest part. Like you said, there’s already so many other people offering similar services on the site, many of whom already have a lot of reviews. I feel like it’s hard to break in with no one to vouch for you. I’ve been at that place in my mind before, and if I’m being completely honest my mind attempts to remind me that there are already too many people doing what I want to do, and that there’s not enough for me or I’m too late. You have to combat these thoughts, with every positive affirmation that you can, because I’m learning that entrepreneurship is a battle! Put your idea out there simple and plain, but add the factor to it that only Stefanie can. You have to try with your best foot forward, and believe that good will come out of it because you were courageous enough to do your part. Congratulations on finding a niche and making yourself stand out. I would be afraid I would take too long to complete a task and come out in the negative. I’m sure your turnaround has to be pretty quick to make it profitable. Thank you! In the beginning I would spend 5+ hours completing gigs only to make 20-50 dollars in that time frame. Those were the “dog days” of my online journey as I have truly learned what it means to work smart as opposed to hard. I WILL LIKE TO KNOW THE THINGS I CAN DO ON FIVERR THAT DOESN’T TOO MUCH WORK, JUST TO UPLOAD. I’ve used fiverr for selling handmade goods earlier this year. My results were okay. I’m not sure I’d continue using it, as receiving my funds took over a month after items were delivered to buyers. I think for all-things digital it could be worthwhile, it’s definitely profitable with the add-on’s on top of the initial $5. Congrats on your success at Fiverr Dion! I’ve only used them twice to get logos and banners done but it wasn’t quite for me. I think this is a great way to break into whatever industry you’re in to make a little cash, but I hope at some point you will have built up enough of a good reputation and portfolio that you can start charging a lot more for your services! Thank you! I’ve viewed my time with fiverr as an internship, and have moved on to greater opportunities because of all I have learned and gained from my experience there. Thanks for this summary Dion. I’ve never used this service. I can see however, how it would be a nice way to gain some exposure in an industry and make some money on the side. You’re welcome Brian, My experience with fiverr has afforded me both exposure and side money. I don’t view either of those elements more valuable than what I’ve learned about the web along the way. I have never heard of fiver before. I will definitely check it out soon. You’re in for a real treat Liz! Thanks for sharing your success Dion! I visited fiverr for a few times and I saw that they usually offered $5 for each service. I’ve purchased a few gigs on Fiverr but I haven’t tried to sell anything or offer a service yet. If I did I’d want it to be something that could be automated somehow so I wasn’t manually performing a task each time. PS – Alexa, one of the links in Dion’s author’s bio is broken. Thank you for the heads up! You should definitely create a gig offering something your passionate about. Automation is the key as I’ve learned first hand how designing for hours and hours for only dollars isn’t optimal. Thank you Laura! It took time, but I stuck with it. Anyway, I’ve never used Fiverr, but I’ve heard quite a bit about it. I think you might have inspired me to go digging and see what I can make from it! I ignored Fiverr for the longest time….shame on me. I’ve found some great relationships on that site and have gotten quality work. It’s great to read about the other side of it: selling! I did try to sell some services on Fiverr but I wasn’t very smart about it and I ended up working a lot, so I had to take the offers down. 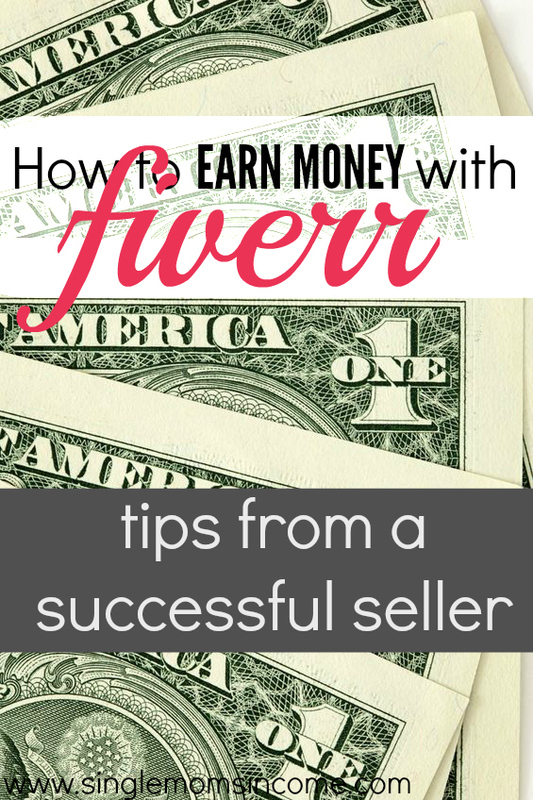 I am sure that many people find it really easy to generate a nice amount of income with Fiverr and it clearly works – I will be on the purchasing side, though and I have already managed to get some nice deals there. Wonderful post Dion on how someone can make some decent money providing skills that others are in need of. Of course, like every successful platform, as the sites become bigger, the output from sellers – some, not all – diminish and the competitiveness to snag buyers becomes a full time job in and of itself. It probably also doesn’t hurt that you were with fivver from “the early days” giving you more credibility. Thanks again Dion. I enjoyed the article and continued success to you for the future. All of these tips are still relevant today on Fiverr. Oh and Fiverr is still as much of a goldmine than ever, probably even more that there is much more activity and traffic on Fiverr. Remember that when you’re new on Fiverr to always under promise and over deliver. That’s the key to getting those early positive ratings and repeat customers. Nice and informative post. But it seems to me that 5 USD is very low for doing some gigs like making a logo whereas if you go on odesk you can make more than 50 USD with that logo. What you say about it? You can add “add-ons” so that you make more than $5. I am from Pakistan and believe me I am just having a full time living with just fiverr and blogging only. The key is creating value for others while having fun doing it, and be consistent… and remember: creating a service is much easier than creating a product. Good luck! The majority (at least to my observation), some folks do well because of the add-ons on Fiverr. This is how they make more money, in terms of the type of extra works they provide. I HAVE USED FIVERR.COM FOR A FEW YEARS NOW AND I USE THEM FOR JUST ABOUT EVERYTHING. FIVERR IS BEST FOR TEENS LOOKING TO BE ENTREPRENEURS AND MAKE GOOD MONEY, PEOPLE IN COUNTRIES WHERE THE WORK MANY NOT BE THERE OR THERE IS AN ECONOMY WHERE $5 HAS MUCH MORE VALUE THAN IT DOES IN THE UNITED STATES AND ALSO THOSE WHO ARE GOOD AT UPSELLING AND CREATING VALUE THERE. YOU HAVE TO BE CREATIVE AND STRATEGIC ON HOW YOU MARKET YOURSELF. KEYWORDS ARE IMPORTANT TO BE FOUND AND DIFFERENTIATE YOURSELF IN A SEARCH. RECENTLY, I HAVE SEEN (AND PURCHASED) GIGS THAT LED ME TO ANOTHER SITE OR OFFERED THE UPGRADED SERVICES AT ANOTHER WEBSITE AFTER YOU MADE THE FIVERR PURCHASE. THIS WAS EFFECTIVE AND CLEVER. MY LOGO ON MY WEBSITE NICHOLECOMPTON.COM AND SOME OF MY OTHER GRAPHICS WERE DESIGNED BY FIVERR SELLERS. I found fiverr a horrible, horrible place, unfortunately. I can imagine that for some gigs it works (mainly gigs that don’t require much work from the seller), but generally, you’ll be working and delivering quality for wayyyyy too little money – at least that’s what I did (translations), I’ve experienced many sellers who just deliver crappy stuff. A good translation simply costs time, and even with gig extras, you’re really selling yourself short, so never ever again. As for graphic design, I wonder, too, how you can do that for $ 5 + possibly some extras. Good designs simply cost money. I have bought some designs on fiverr, simply to test if it was worth it, my conclusion was a very definitive no. I read a lot advices for fiverr sellers today and every single one of them recommends to “promote your own gig on social media”… This is kinda ridiculous to me, why? Well if I had such social influence, or If I was able to get buyers I definitely wouldn’t signup for fiverr in the first place because I would sell on my own site. I tried every single type of gig on fiverr, luckily I know to do graphic design, server administration, video editing, voiceovers etc but I am constantly experimenting with new gigs and I can’t get more than few orders a month… I really do not know where I am wrong but I really wish to make some income on fiverr. Hi Luka, This post is a few years old at this point so strategies may have changed already. I wish you the best!